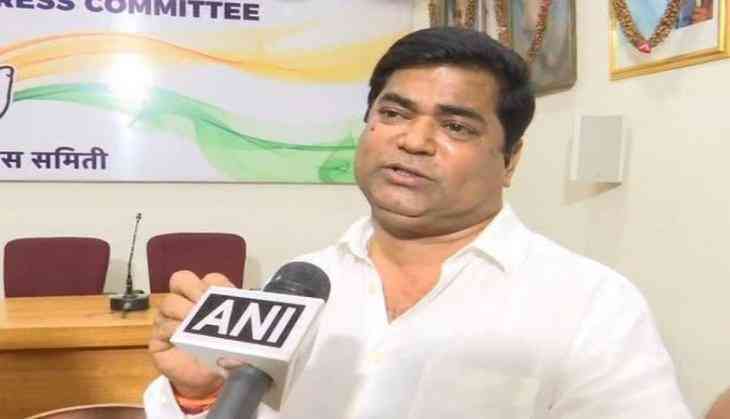 Leader of Opposition in Goa Assembly Chandrakant Kavlekar led Congress delegation on Monday told Governor Mridula Sinha that the party will prove majority to form the government in the state. "We met the Governor and staked claim to form the government as we are the single largest party in the state. We have 14 MLAs and we should be given the chance to form the government. We have told that we will prove majority. We are saddened by the demise of Goa Chief Minister," Kavlekar told media after meeting the Governor. The Congress communicated their claim to form the government hours after the death of Goa Chief Minister Manohar Parrikar's death. The opposition Congress is the single largest party in the 40-member Goa assembly. However, BJP MLA Glenn Ticlo on Monday said that one among the 12 BJP MLAs should lead Goa since the demise of Parrikar. Ticlo's reaction came after the Congress wrote to the Governor for the second time in the last two days staking claim to form the government. The four-time Chief Minister and senior BJP leader Manohar Parrikar died on Sunday evening after a prolonged battle against cancer at the age of 63. The present strength of the Goa Assembly stands at 37 instead of 40. The Congress is currently the single-largest party in Goa with 14 MLAs. The BJP has 13 legislators and its government is supported by three MLAs each of the Goa Forward Party and Maharashtra Gomantak Party, and three Independents. Two Congress MLAs have resigned after defecting to the BJP.